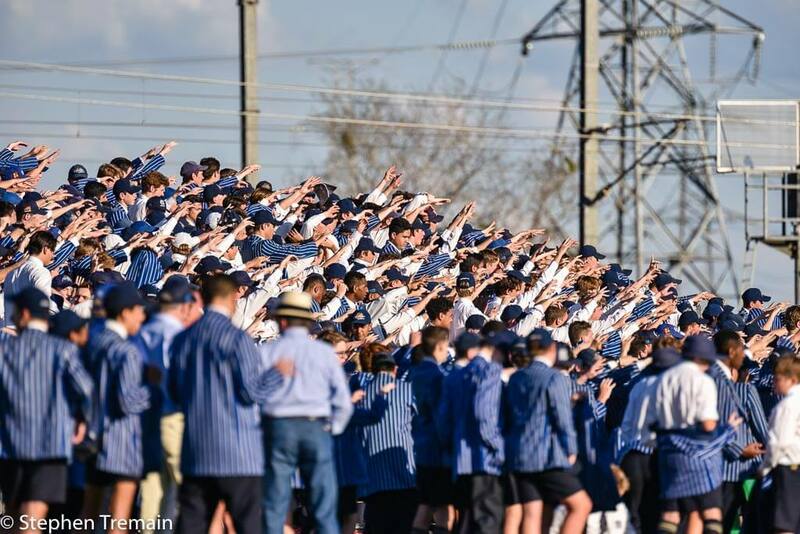 Much has been written and spoken about the annual clash between Gregory Terrace and Nudgee College, to the point where any description of the rivalry or intensity will always be unwaveringly cliched. 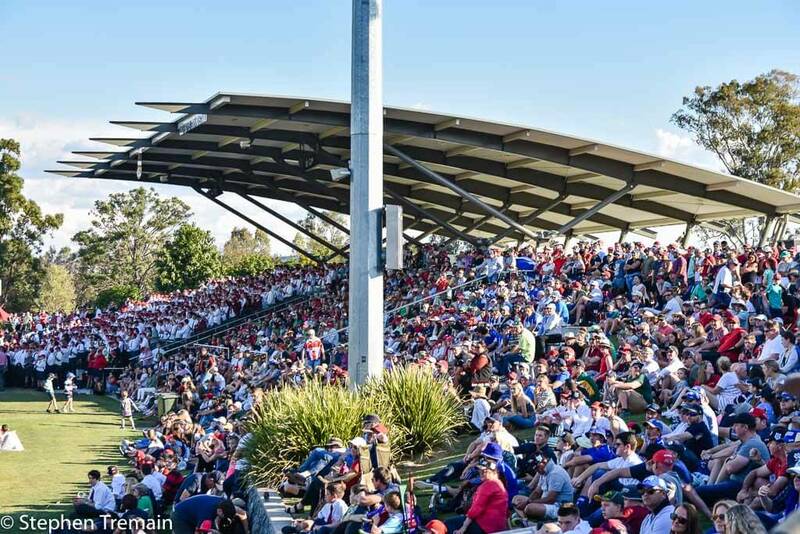 Nevertheless, the simple fact remains: the GT v NC match is the centrepiece of both schools’ calendars, and the atmosphere is wholly unrivalled. This was no different on 28 July, 2018, as both teams took to the field at Tennyson, for the second round of the GPS season. Gregory Terrace were hungry for a win, having mounted an incredible second-half effort last weekend against BBC, only to lose 31-20. With passionate crowds baying for action, the game begun with the blow of a whistle. Early signs were strong for Gregory Terrace, with crunching defence repeatedly denying Nudgee the opportunity to cross the advantage line. 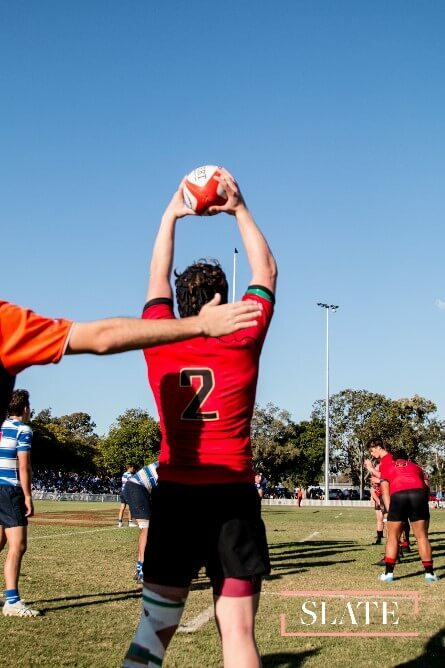 A sharp box kick by Will Kirk, Gregory Terrace’s scrumhalf, saw the first lineout occur inside Nudgee’s 22. An aerial battle for territory ensued, occurring largely in Nudgee’s half. Neither team could gain clear ascendancy in this early period, but unimpeachable defence by Gregory Terrace slowly forced Nudgee’s retreat, culminating in a lineout throw to Gregory Terrace on the 22. A bullocking run by inside centre Dan Condon brought GT ever closer to the line, before an unfortunate spilt pass brought about the first scrum of the match. 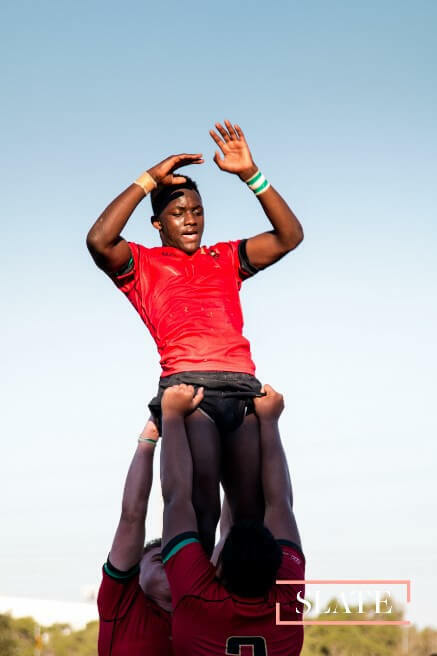 The ongoing scrummaging battle would later prove to be an intriguing, if not decisive, element of the match. 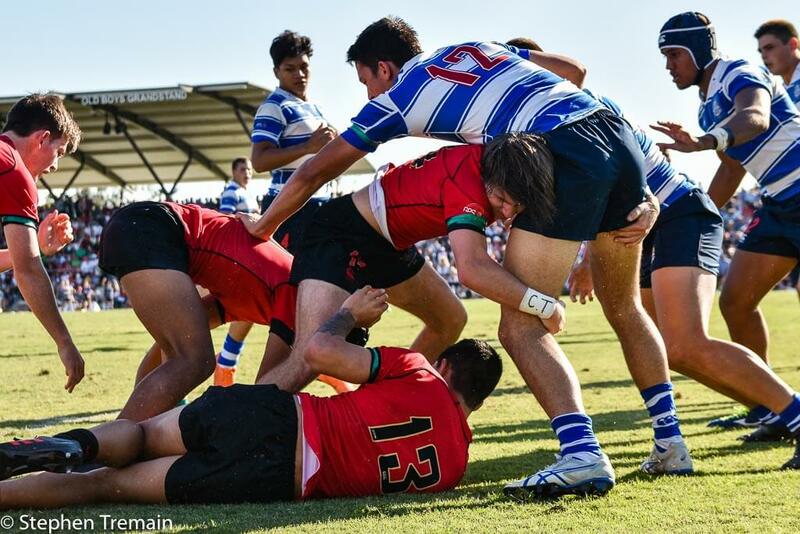 In this case, the Nudgee pack won a penalty, and their sharp scrumhalf took a smart run, only to see their clearance kick charged down, and for the ball to return to the hands of Gregory Terrace. A subsequent ruck penalty gave GT the first points of the match, as Kirk’s boot held true to grant them a 3-0 advantage. 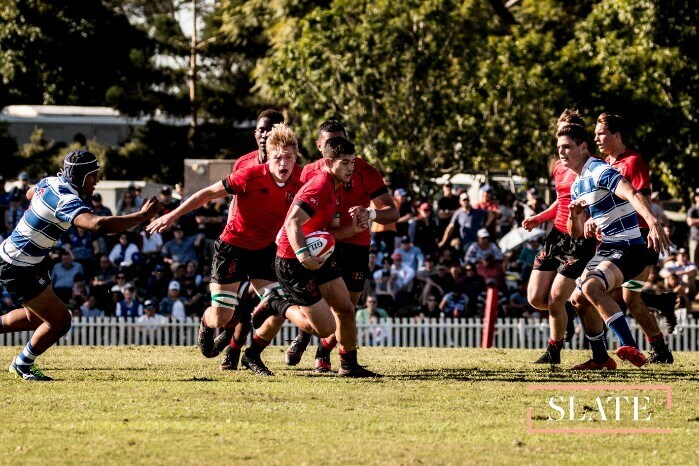 As the game progressed, with GT consistently winning the battle of possession and field position, it became apparent that, on the back of powerful defensive plays and width in attack, Gregory Terrace were growing ever-closer to scoring the first try of the match. 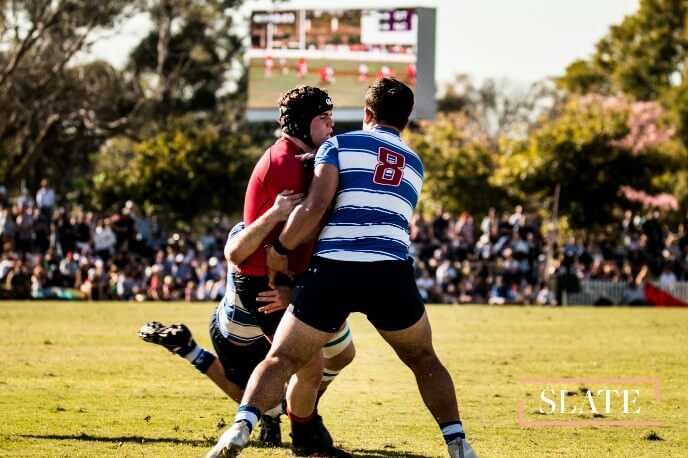 Unable to halt the momentum of their rivals, the Nudgee side were compelled to focus on last-ditch defensive efforts to prevent a try. A lineout steal, and a sharp backline play saw outside centre Mayson Hill carve through the defensive line, running a hard line, and bringing GT to the 5m line for the umpteenth time in the match. 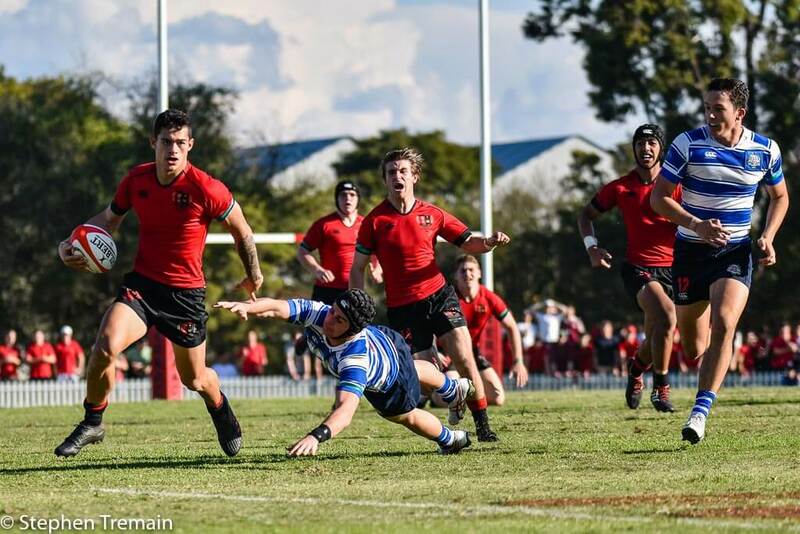 Whilst Nudgee’s defence had held strong, constant pressure and driving runs by the Red and Black forwards saw GT score under the posts for the first try of the match. 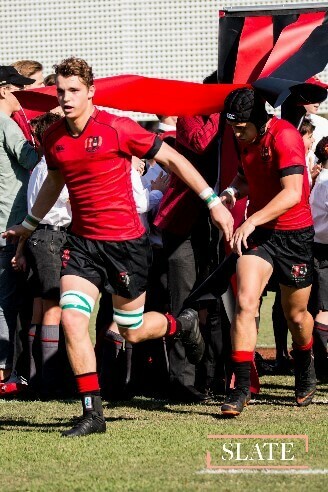 Second-rower Ben Clifford succeeded in bustling through multiple defenders with sheer strength. 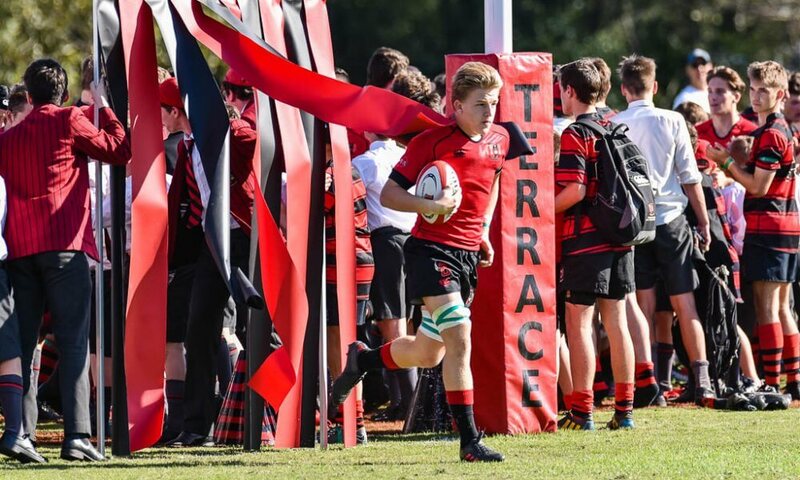 A simple conversion completed by Kirk, and in front of a rabid home crowd and a shocked pack of Nudgee College supporters, Gregory Terrace led 10-0. Further aggression and commitment in offence from Gregory Terrace saw them maintain a strong attacking position soon after the restart. 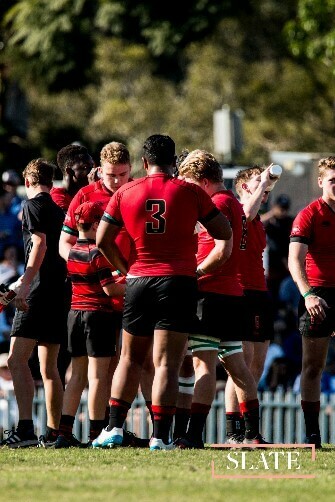 However, their width in attack would prove their undoing, as the ball was snatched on the wing by Nudgee’s right winger and Australian schoolboy representative, Jangala Bennett. For all their dominance of territory and possession, Gregory Terrace now led by a mere 3 points, with the score resting at 10-7 after a successful conversion. Soon after the restart, and despite strong defence from Gregory Terrace, Nudgee had their first genuine chance inside their opponent’s half. An immense rolling maul from a lineout on the 22 was brought down by the desperate defence of the GT forward pack on the 5m line. However, this pressure was relieved several phases later by a Nudgee knock-on. After several phases on the front foot, driving Nudgee back, Gregory Terrace found themselves on the halfway line, ball in hand, looking to spread it wide. But with open, grateful hands, Nudgee’s Jangala Bennett plucked the ball from the air, running over forty metres to score. A successful conversion left the score at 14-10 in favour of Nudgee. 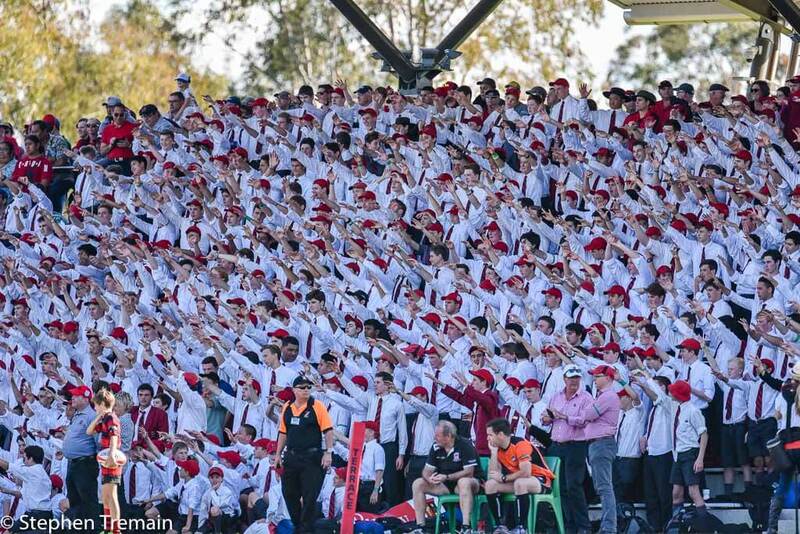 Nudgee’s four-point advantage was enormously surprising, given the dominance displayed by Gregory Terrace up to that point. 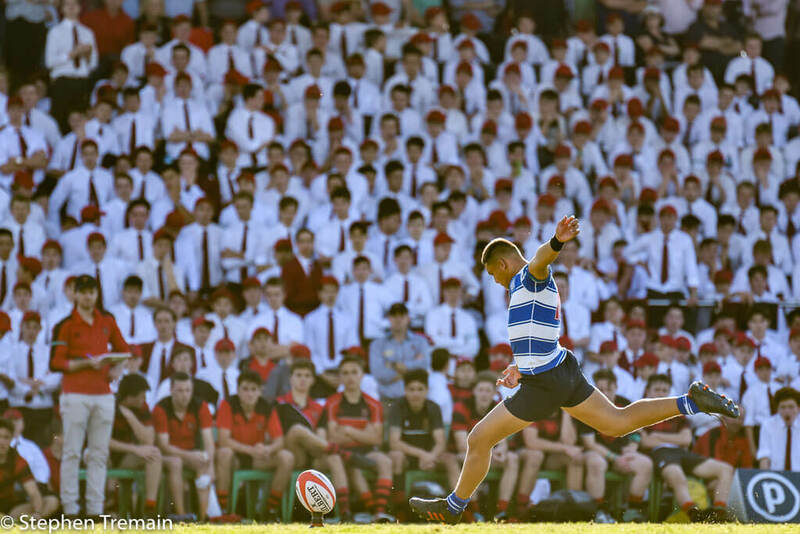 However, the failure of GT to convert pressure into points gave Nudgee an opportunity to take the lead. 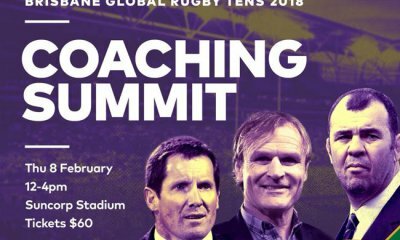 From the restart, a ruck penalty awarded to Gregory Terrace gave them strong field position with which to launch an attacking raid in the shadows of halftime. 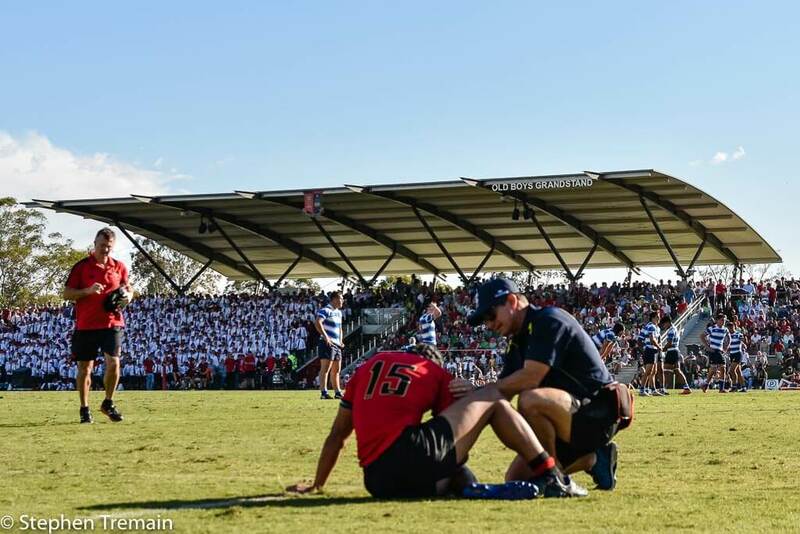 A missed penalty kick saw the ball collected by Nudgee College, who put it on the toe, directly in the arms of rampaging Gregory Terrace fullback Mone Ma’afu. The ball changed hands several times before a Nudgee clearance kick saw a Gregory Terrace lineout just inside halfway. With halftime nearing, this was an excellent opportunity to regain the lead. A sublime backline play saw the ball go through the hands before Gregory Terrace winger Glen Vaihu slotted through a gap, running a great angle, only to be brought down a few metres short. 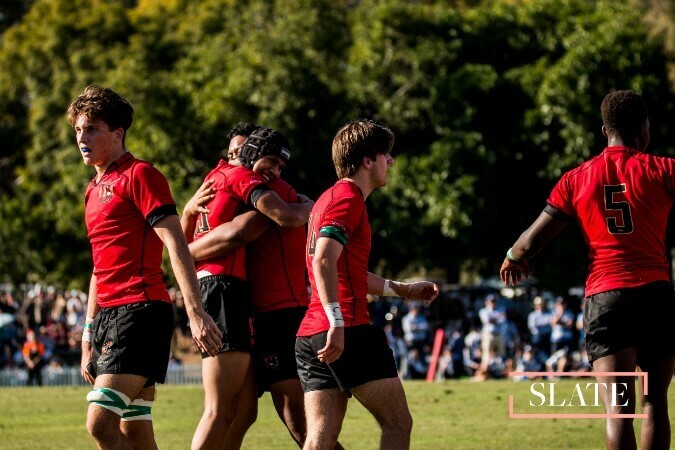 Driving runs by the forwards left Nudgee reeling, and an enormously strong run by tighthead prop Malvin Mavaega saw him barge over multiple defenders to place the ball down, the spirits of Gregory Terrace running high as the lead was regained. A missed kick by Kirk left the score at 15-14, where it would remain until halftime. From the beginning of the second half, a more gritty, kicking and possession-based game commenced, with both teams struggling to gain clear ascendancy in the tackle or the breakdown. After multiple attacking phases within their own half, GT’s willingness to spread the ball through the hands reaped dividends, with a wonderful break on the wing by Mayson Hill, only ended by gutsy defence bringing him down mere metres away. Three phases later, with the NC defence focused in and around the ruck, the ball was spread by Glen Vaihu to Keegan Vaneberg, who exquisitely planted the ball inches in from touch to give Gregory Terrace the first try of the second half. An unsuccessful conversion saw the score 20-14, the noses of Gregory Terrace just in front. 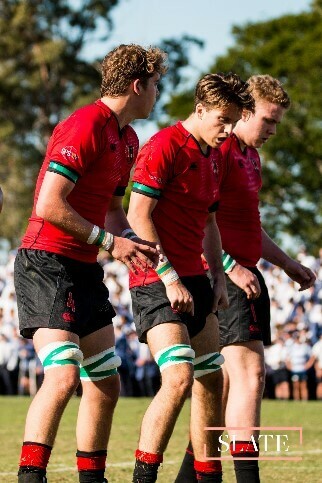 Soon after the restart, Nudgee were able to turn the ball over with powerful efforts at the breakdown. 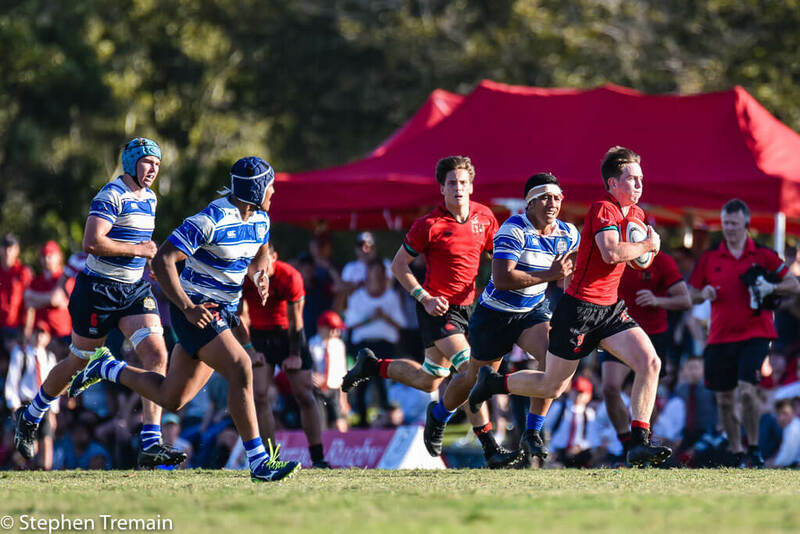 Strong running and offensive width granted good field position, and Nudgee’s fullback was able to take advantage of an overlap to throw a sizzling cut-out ball to winger Bennett, who scored his third try of the match in the corner. Successfully converting a difficult kick granted Nudgee the lead, the score 21-20. 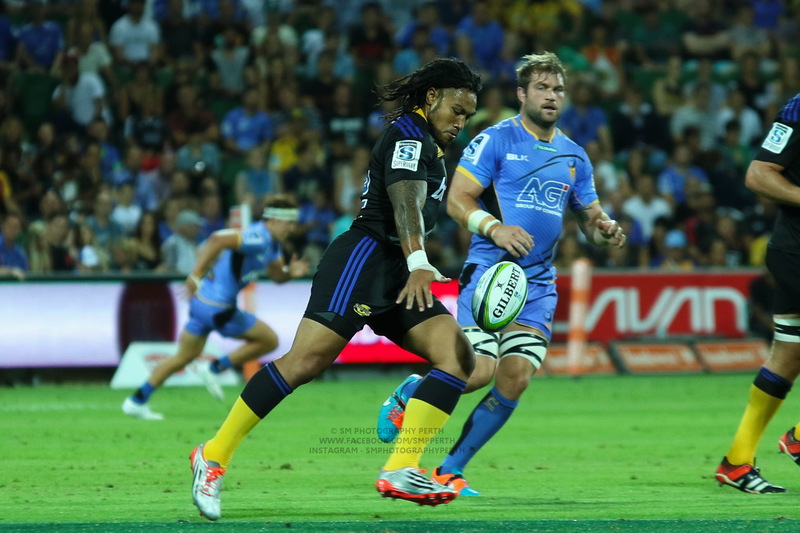 Two rapid tries in the second half had changed the complexion of the game. 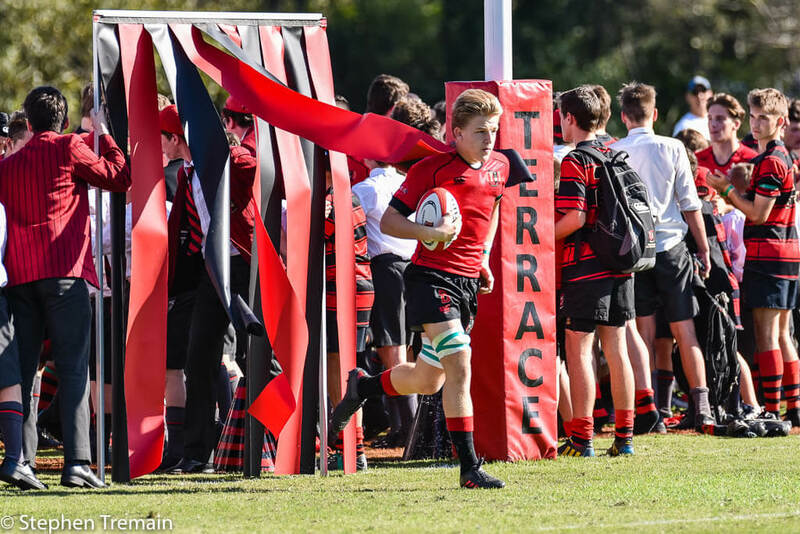 A basic territory game ensued, and Gregory Terrace’s once-dominant running game was beginning to be well-read by Nudgee. After multiple phases within their own half, GT found themselves on the back foot, forced to attempt a clearance kick which was returned by the Nudgee fullback on the 22. 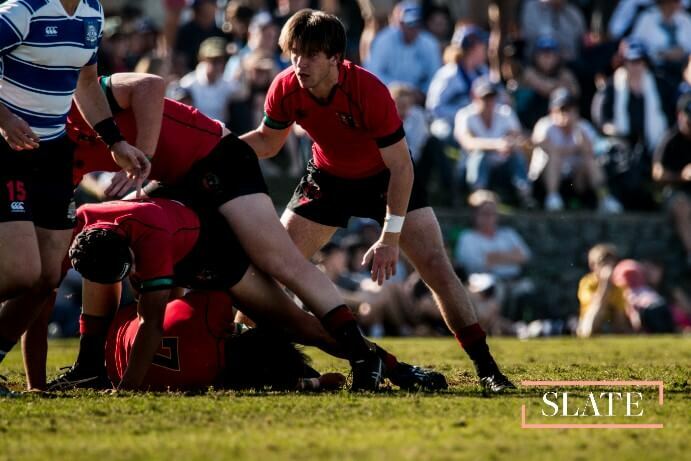 Beginning to look exhausted, the Gregory Terrace forwards still fought with enormous passion in brave attempts to dominate the tackle. 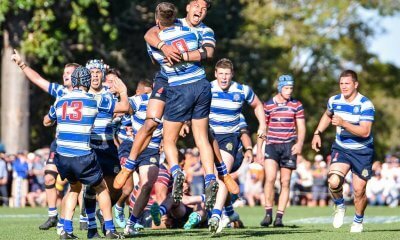 Driving runs by the Nudgee forwards close-in reaped rewards, as they scored, extending their lead to eight points after a successful conversion. 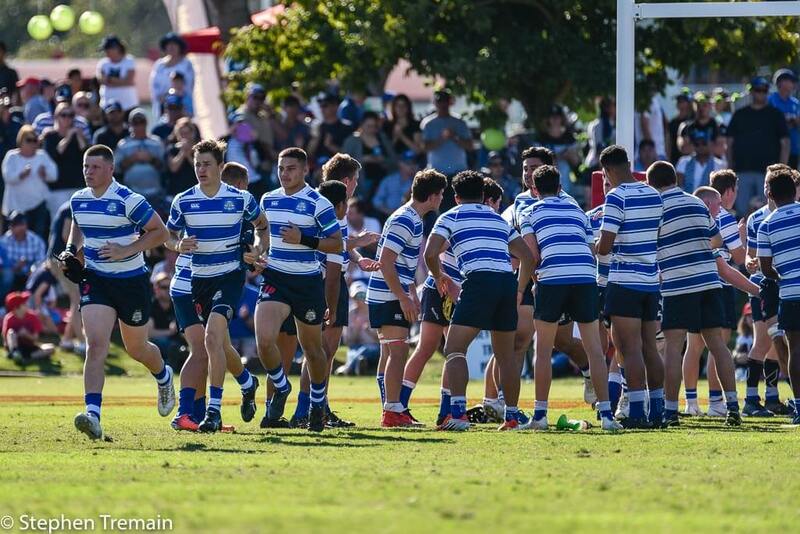 With the score at 28-20, Nudgee’s depth was beginning to bear fruit, and Gregory Terrace would be ruing their failure to score points when in periods of extended dominance. A booming kick from Nudgee’s flyhalf, Reesjan Pasitoa, after the restart, fumbled by Gregory Terrace, saw the ball trickle into touch in-goal, awarding Nudgee a scrum five metres from the line. 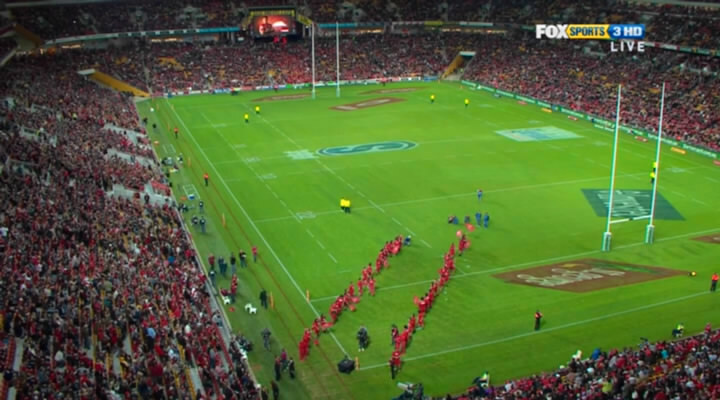 Continuing the trend of much of the second half, the game was again being played in Gregory Terrace’s red zone. Several bullocking runs by Nudgee forwards saw the GT defence weakened, and the final blow was struck with a darting run by the NC 9 close to the line, sliding through a number of defenders to score. 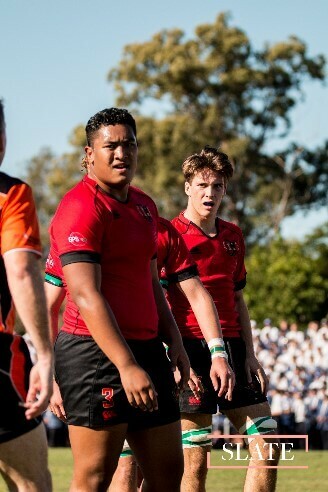 A successful effort from the tee saw Nudgee extend their lead to just beyond two converted tries, leading 35-20. Reeling from three quick tries by Nudgee, Gregory Terrace were able to find calm from the restart, regathering the ball and running hard, driving closer to the line after multiple phases inside the 22. Over twenty phases within ten metres of the line, still couldn’t bring about a try, and a ruck penalty gave them a chance to reset. 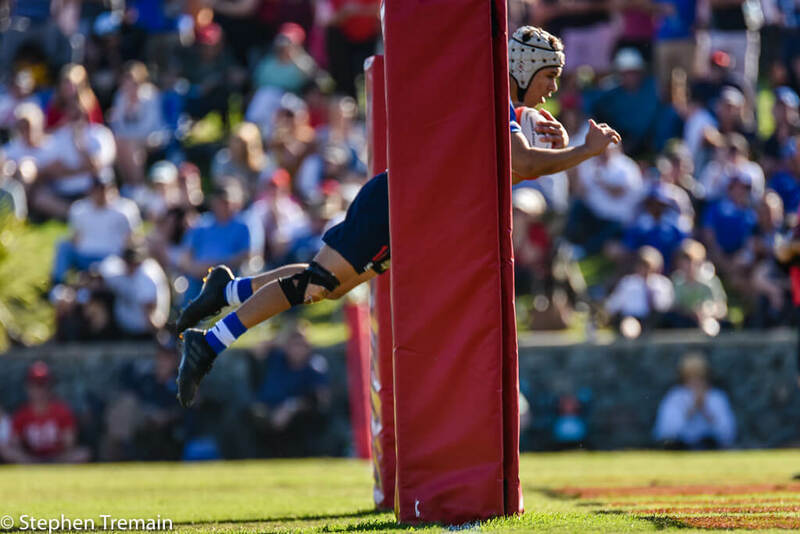 From the lineout, the ball found its way to flyhalf Patrick Elekana, and poor Nudgee defence saw him slip through the base of a ruck to plant the ball. The exhaustion of both teams was palpable, but the spirits and tension ran high as it seemed GT could be mounting a strong comeback. A missed conversion by Kirk left the points differential at ten, with the score 35-25. 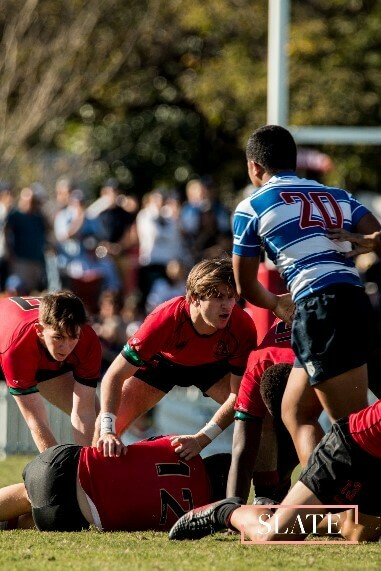 Unfortunately, as Gregory Terrace were sniffing around a comeback, Nudgee had other ideas. With GT committed to running the ball from inside their own half, a risky proposition given their repeated failure to cross the advantage line, Nudgee were able to turn the ball over and spread it wide through the hands. Nudgee were in for another try, on the back of clinical defence, quick thinking, and sheer strength and speed. 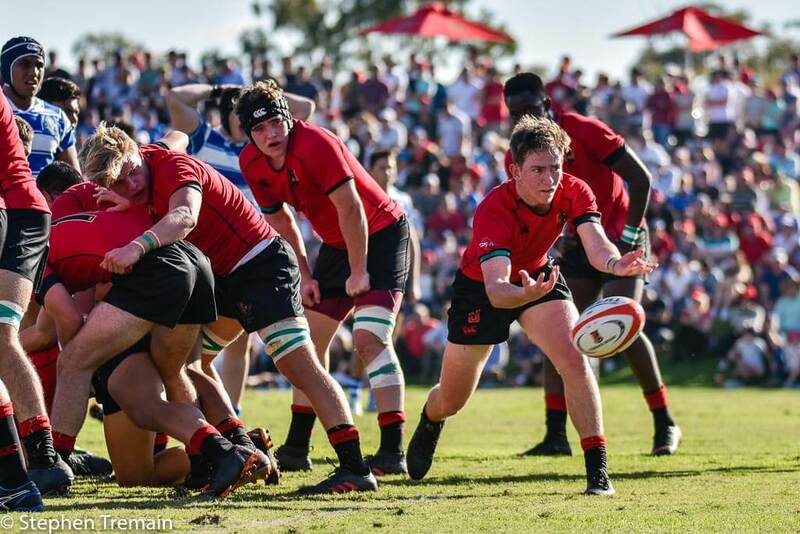 Thoughts of a comeback were dashed by the hands of Nudgee’s winger, but the body language of the GT First XV indicated they were far from willing to submit to their old enemy. Possession thus changed hands multiple times, with excitement for GT when Kirk nabbed a quick touch from a penalty, broke through several tackles, and kicked ahead for his winger. Unfortunately, this kick went into touch, awarding Nudgee a lineout in their own half. Desperate defence by GT prevented a try from a chip kick by Nudgee’s fullback. 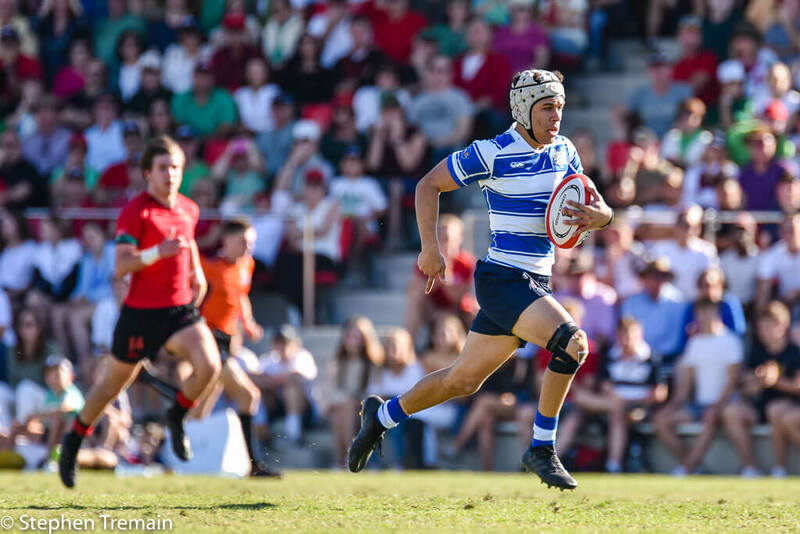 The pressure built, however, and after multiple phases inside ten metres of the line, the Gregory Terrace defence could not halt the Nudgee flyhalf running an inside line to score. Converting his own try on full time, the flyhalf celebrated with his teammates as Nudgee took the victory, 49-25. The scoreline did not come remotely close to reflecting the tightness of the encounter. Gregory Terrace should leave with their heads held high, as their effort and willpower highlighted their unshakeable commitment to the cause of the Red and Black. Reviews brought to you in conjunction with the Terrace Rugby Supporters Group.